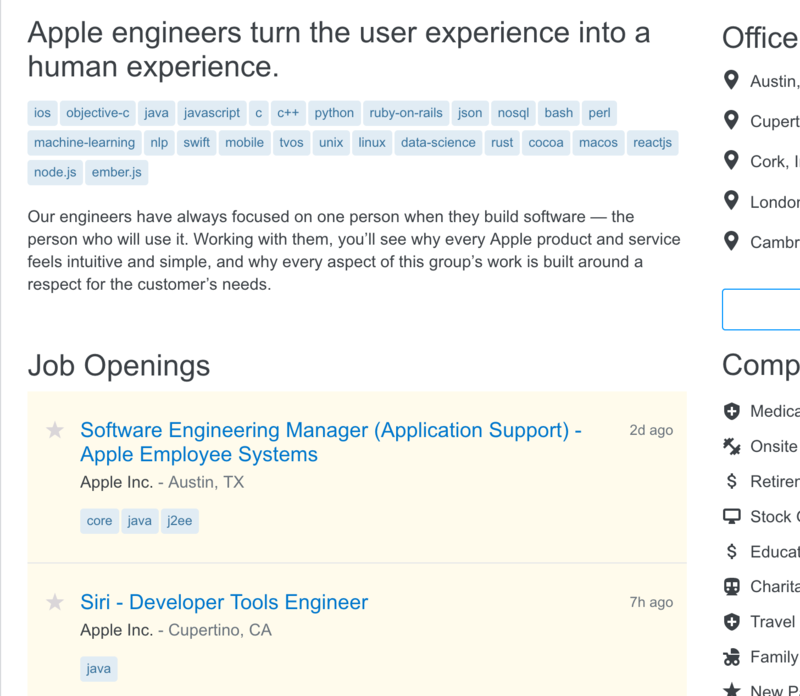 Now, here's the thing: If you (Stack Overflow) or the company (Apple) don't want me to see the job listings then WHY would you show me an ad that says there are jobs available? This is ridiculous! 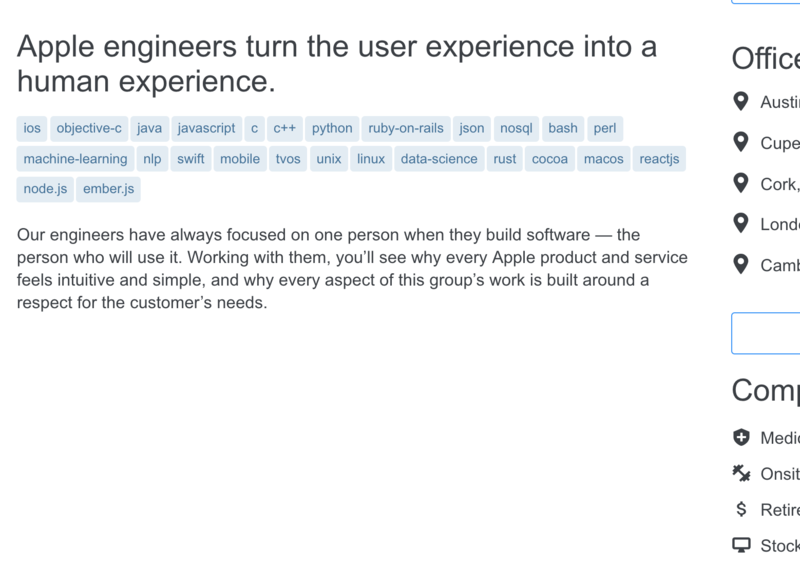 Turns out the listing on the Jobs page is based on your Jobs Preferences, specifically the "Where you'd like to work". I just tried adding "United States" to my preference, and 17 job openings were listed (all in the US). Not the answer you're looking for? Browse other questions tagged bug jobs advertising .